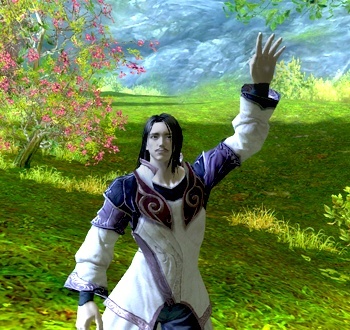 Do Game Designers Miss Their NPCs? When building a world and story for a game, designers and writers come up with NPCs to be the characters that populate it. But what happens when it's time to move on and lay them to rest? "After spending so much time crafting the game world and building its inhabitants, experiencing the world from a player's perspective gives the creator a comprehensive understanding of the world and characters they've created; like an auto buff who appreciates the quality of their ride because they know the intricacies of how the car was constructed," says Alex Kain, a game designer at Venan Entertainment. "It's this more comprehensive view of the game world that I believe can lead to a developer becoming attached not only to their NPCs, but the world in which they live and the rules that govern it." Sometimes we attach because of regret, though - usually regret for things left undone or unsaid. This is clearly part of my issue with Rodan and Drazic. I wish I'd given more game time to them. I still think about the possibility of them finding a way around the cataclysmic endgame to do something more. Of course, it isn't always a tragedy. Sometimes, fortune smiles on your favorite side character and rewards them in ways you'd never thought possible - as happened with one particular The Elder Scrolls II: Daggerfall NPC. To read that story and more about how hard it can be to turn the lights off on your creations, read "Parting Ways With Our NPCs" by Brenda Brathwaite in Issue 221 of The Escapist.